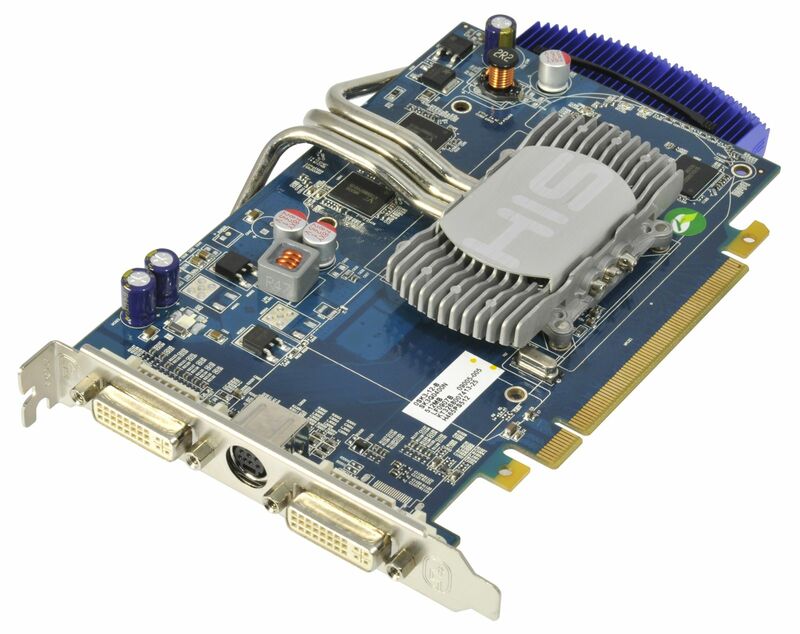 " The engine UVD2 of HD 4650 iSilence 4 works perfectly......The performances are somewhat better than the latest Intel G45 IGP and NVIDIA GeForce 9300/9400. 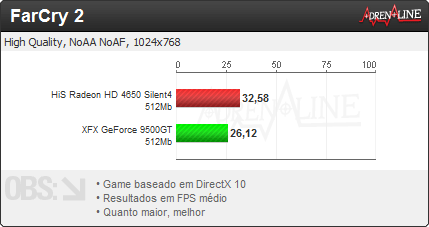 The Radeon HD 4650 is better than the GeForce 9300 IGP on the HQV test....... 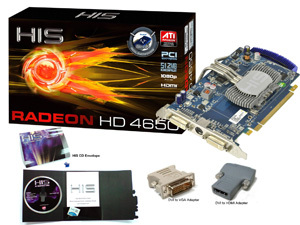 The noise reducer is very efficient, default to 66%, it works perfectly.......As we have seen, this HIS Radeon HD 4650 iSilence 4 deals better audio and video that the best circuit with integrated graphics and the GeForce 9300/9400." - HomeMedia, scores 5 out of 5 stars! HIS today unveils the HD 4650 iSilence 4 1GB/512MB DDR2 PCIe Card, deliver the ultimate silence solution for media center PC. Featuring the famous Korean cooling expertise’s product – ZALMAN VNF100, it maximizes cooling efficiency while provide a silence environment for gaming and multi-media entertainment. It is powered by the 4600 GPU with core speed up to 600MHz and memory speed up to 1000MHz. 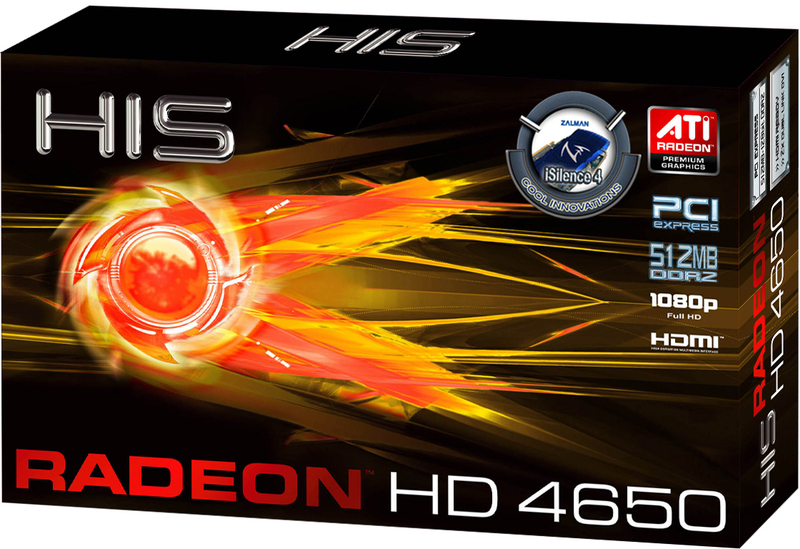 It has the same engine architecture as the HD 4800 Series and can propel you deep into your game play with fast frame rates and high resolutions. The Unified Video Decoder 2 technology enables you to get the ultimate visual experience for the most processing- intensive content. Take full advantage of Blu-ray functionality with dual-stream, picture in picture capabilities. 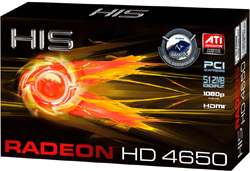 Test is setup to compare the temperature difference between the HD4650 iSilence 4 model and the HD4650 standard cooler. 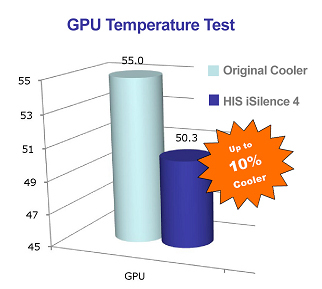 From the following graph, the HIS iSilecnce 4 cools down the GPU temperature by up to 10%. 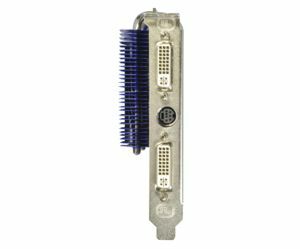 Passively cooled by the passive cooler Zalman VNF100, the newly designed heatpipes convey heat to a large and dense array of aluminium fins, effectively cool down the temperature and ensure the station runs in stable condition. 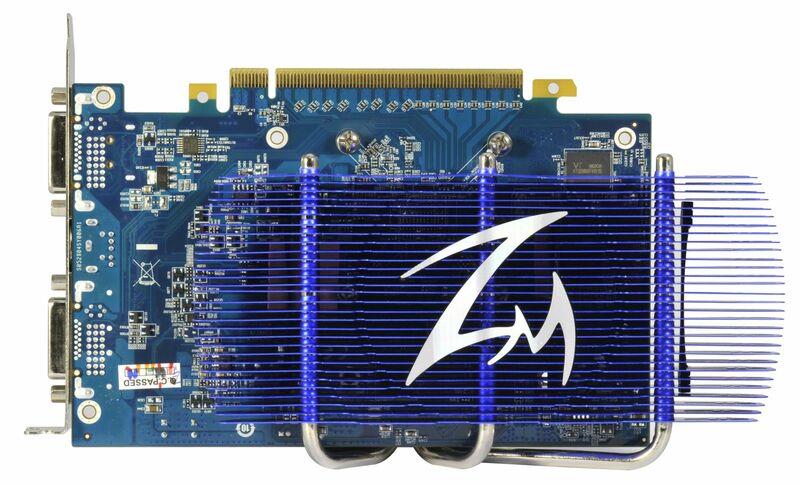 It is cooled by the well-known Korean cooling expertise’s product – ZALMAN VNF100. 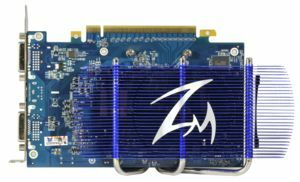 With Zalman’s patented VFP (Variable Fin Profile) Fin Design, it maximizes cooling efficiency and dissipation surface area for excellent performance. 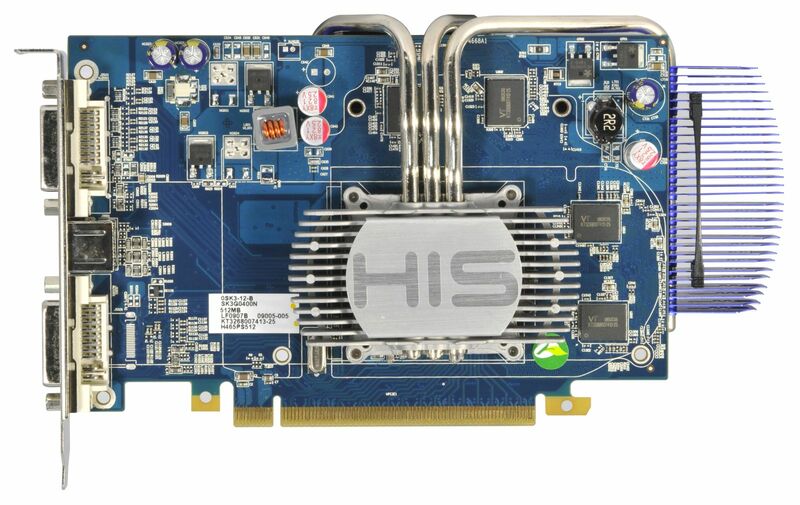 As VNF100 is fanless, it does not emit any noise and can be used semi-permanently. 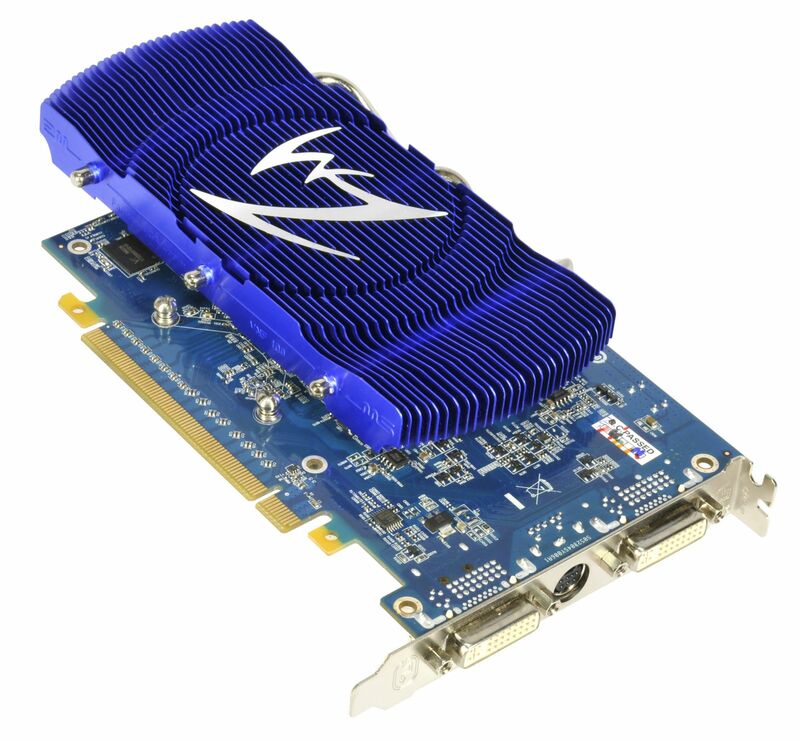 Coming with 2 high performance heatpipes, it maximizes heat transfer. 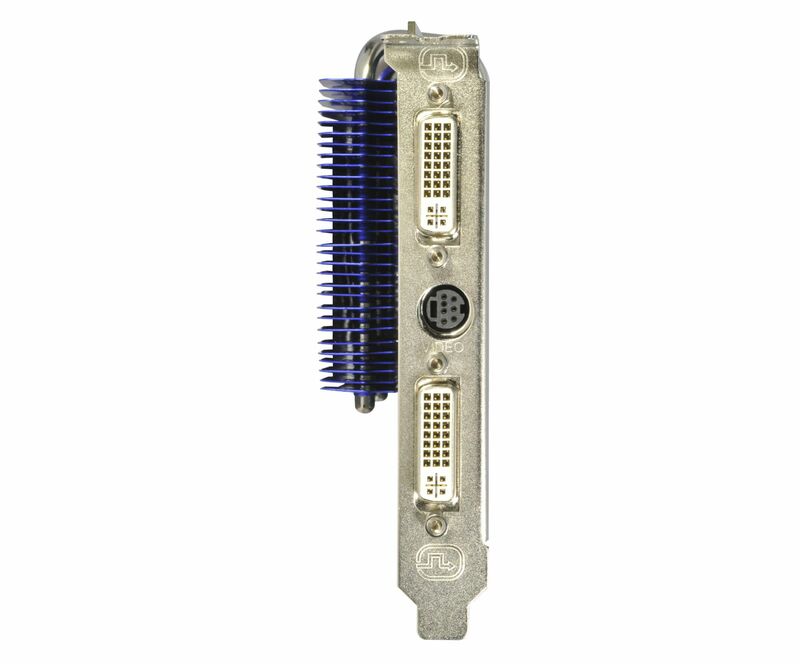 The thin aluminium fins (0.4mm) provide minimized heatsink weight, and prevents excessive force on the VGA card. 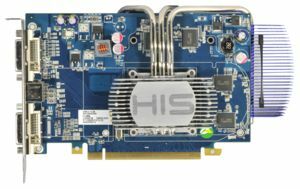 More importantly, the heatsink is positioned above the VGA card that optimizes cooling efficiency and allows compatibility with SLI and CrossFire setups.
" 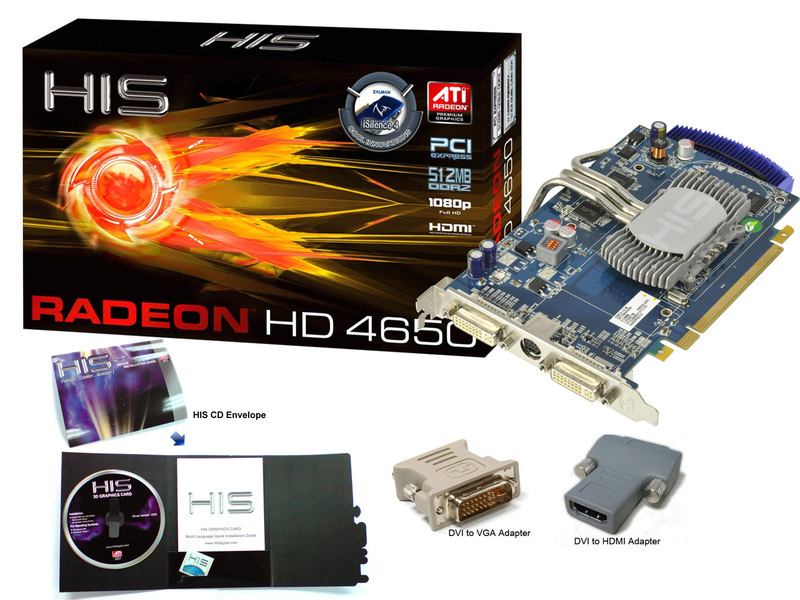 HIS gives us a good graphics card built around the GPU Radeon HD 4650, a radiator cooled by Zalman iSilence 4 without any fan, which ensures total silence of use. Gpu temperature has not exceeded 48 ° C during our tests. Its 3D performance are average good, especially as its main preoccupation is not games but multimedia. " " The highest frequency that we could use without experiencing artifacts are at 665MHz core and 550MHz. An excellent result, and certainly not something we expected would be relevant in a passively cooled card. " 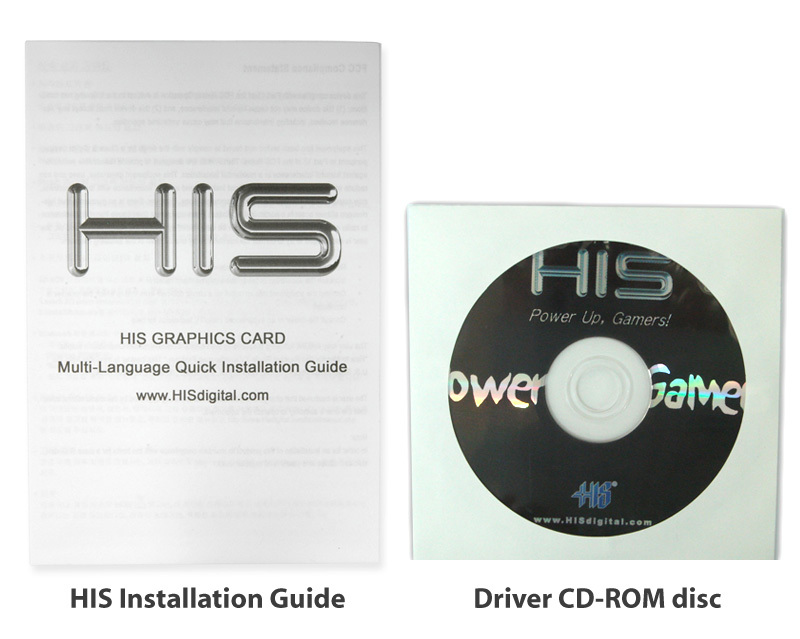 " The card excels in media playback.....With its passive cooling solution, the HIS HD 4650 iSilence 4 512MB is even more suited for an HTPC......The gaming performance of the card is adequate and we actually were a bit surprised that it did performs as well as it did in Far Cry 2, a brand new game. " - Bjorn3D.com Seal of Approval, scores of 8.0 (very good) out of 10.